Vern Burkhardt (VB): You define dialogue as, "a conversation with a center, not sides." Would you explain? Bill Isaacs: Typically when people interact they do so with relatively preset points of view. I am sure everyone's gone to a meeting or stepped into a conversation, and more or less been able to anticipate what other people will say. It's almost as if there are set pieces they have tried out or bring out on command. Those are the sides of a conversation. A dialogue is a very different kind of flow. It's one where people are willing to suspend their point of view and listen for what needs to be said, rather than planning what they will say or how they will steer the conversation. There is often a direction seeking to emerge in any conversation if everybody is willing to listen to what it might be. VB: How might dialogue enhance creativity and innovation in an organization, and in us? Bill Isaacs: I see many organizations where people spend enormous amounts of time and effort struggling, even fighting, with one another. The work that gets created is what you might call defensive work aimed at defending the validity of what they are currently doing. It takes a huge amount of energy. Creativity is a function of context. A lot of people say they want a more creative organization. You can't schedule creativity. You can't say, "I want everything to be more creative on Fridays at 4:45 pm." Creativity doesn't work that way because it doesn't function in what I'll call linear or chronological time. We sometimes call it kronos time where time is managed in a linear, discreet, and defined fashion. Everyone has a schedule of what to do, and what is to be accomplished at each time of the day. You need a very different kind of time to manage creativity, at least the expansive parts of creativity – what we call kairos time. Kairos is the time of the seasons. It is your ability to know that the seasons are changing. You walk outside and you can say, "It's spring." There's no announcement. Human beings have come up with a date when it is officially considered spring. In the northern hemisphere it's March 21st or 22nd depending on the year. In fact there is flow, it's a cycle we can feel regardless of the date. Dialogue is a conversation. You could say it's nature's way of talking. It allows there to be a pattern of listening to the underlying flow, the underlying music, and it is at this level that creativity happens. VB: What is needed to bring about dialogue? Bill Isaacs: In order to bring about dialogue we need to know what it is, and the people involved need to be interested in creating it. In other words, they need to have an intention to create dialogue. There is a range of conditions necessary for dialogue to occur. One is an understanding of the distinction between dialogue and other forms of conversation. We can contrast dialogue with discussion. Dialogue has its roots in the Greek words "dia" and "logos." "Dia" means through and "logos" is word or meaning. So dialogue is a flow of meaning. Discussion has the same roots as concussion and percussion; it means "to break apart." Discussion is useful for breaking up complex problems – to make a decision and choose. But there is a creative process that needs to precede discussion, which allows all the different factors to come about. Step one is intention. Step two is creating what we call a "container." Container is a strange word, but it essentially means a "holding environment" in which it is possible to welcome the aggressive energies as well as the more delicate qualities of human beings. In most organizational contexts it's not safe to bring much of yourself into the room. The container is very limited. There is not much space. So another condition is creating a bigger, higher quality listening chamber or container. Finally, there's capability. It's the ability of each individual to function authentically by listening deeply, respecting what's happening, and letting go of what I call our noble certainties – our conviction that we know what's going on and what's right. VB: And not feel that we are our point of view. Bill Isaacs: People often feel they are their point of view. Of course, this is because people tend to be identified at the level of their intellects. The ego loves to claim the ground and say this is all very important and it's all about me, and people often skeptically say, "Well that's just human nature and it's never going to change." The truth is it is human nature, but the good news is there's more to it. While we all have to learn how to deal with these factors in ourselves, there are other forces that can be activated as well: intention, container, and increased capability. VB: You say, "Dialogue represents a new frontier for human beings – perhaps the true final frontier. In it we come to know ourselves and our relatedness to the whole of Life." In what ways is dialogue perhaps the true final frontier? Bill Isaacs: Ask yourself the question, "Where are human beings headed?" We have begun to realize that our ways of operating are damaging the living forms on this planet. There are still plenty of places on the Earth in a physical frontier sense that are yet to be explored, but what's missing in a lot of these explorations is the existence of a purpose. What is becoming obvious to people these days is the inner connectedness of things – the reality that the world is deeply and totally inter-connected. There's kind of a global flu going on, and I'm talking about the financial crisis, not the current H1N1 flu scare. When a disease is caught in one part of the world it seems to spread quite rapidly to the rest of the world. That indicates a certain underlying wholeness. What's missing in some respects from many people's lives is a sense of belonging to a larger context. We tend to operate in fragmented and narrow boxes. Dialogue is useful because it points the way to a conversation and, more importantly, an experience that cuts through all that. There is a wider wholeness to think in and with, and that wider frontier is something that will think with us if we allow it. Bill Isaacs: We have to contrast that with what we currently do. Many people have had the experience of rising up in the morning, getting into their car or some form of public transportation, getting to work, and having absolutely no idea how they got there. What drove the car, you could ask. How did they get to work? I suggest it's a program of thought, a program of memory that is conditioned, well established, and seamless to the point where they could almost be unconscious and get there. It's a form of functioning that operates in a lot of areas, not just when we are getting to work. It operates during a lot of different activities. We operate in automatic pilot mode, which we tend to call "thinking." But it isn't thinking. Thinking takes place consciously in the present moment. It involves allowing the mind to flow as if water was turning a wheel and, as a result, original or fresh insight emerges. In contrast is habitual reflexive conditioning – somebody says something, and immediately a pile of reactions comes to mind. It's easy to see habitual reflexive conditioning in negative reactions such as, "They shouldn't have said that to me!" "They had no right to say that to me!" "How dare they say that to me!" "Don't they understand who I am?" This type of reactive thought is not thinking. Thinking is becoming conscious of the reactive flow, stopping or interrupting it, and asking yourself, "What is that?" "Who is doing that?" It immediately slows things down. It's the beginning of thinking, a creative process the result of which is change. And the result of change is creation, and learning. The irony when talking about being a learning organization is that the premise of learning is that you don't yet know. In an organization you don't get paid to go around saying "I don't know." People claim they do say they don't know, but the truth is that very rarely do people have the courage and/or freedom to say it and still keep their jobs. But learning, by definition, implies we don't know. VB: You say, "…dialogue begins with yourself." And the key building blocks are 'listening', 'respecting', suspending', and 'voicing.' Would you explain? Bill Isaacs: Well, earlier I referred to the four capabilities necessary to produce dialogue, and you just named them. Voicing has to do with speaking your own genuine voice. Often we have the idea that we'll say exactly what we think. We get up courage, walk into a conversation prepared to tell it like it is, and, instead of a roar, out of our mouths comes a squeak. It takes practice to bring your own genuine voice into a conversation. It takes effort and it takes courage. Listening is the act of generously making space without resistance for what someone has to say. Typically, when we listen, we listen to our own axes grinding and to the thoughts in our own head, not to what is being said. Respect has to do with honoring the dignity of another, respecting their right to "be" and the legitimacy of their way of being, however that is. I know of a very courageous Jesuit priest in the mountains of Columbia, South America, who interacts in equal terms with government officials, drug enforcers, the military groups attached to the cartels, and villagers. No matter how violent and difficult, he knows and acknowledges that whatever they're doing they're behaving out of their own highest vision. He challenges them and says, "Well, murdering people may not be in everybody's best interest. It produces all kinds of difficulties for your own families as well as yourself however courageous and macho it seems to be." He is acknowledging their dignity. This is a very difficult thing to pull off or even imagine, but this priest has accomplished huge change as a result. Suspending has to do with letting go of your belief that you are right in order to gain perspective. It's hard to do because we often identify what we say with who we are. When someone attacks our ideas we think they are attacking us. You can't get to dialogue if you cling to what you think and why you think it. Suspension means putting our temptation to fix, correct, or problem-solve on hold so we can begin to inquire into what we observe. We ask, "How does this problem or situation work?" We inquire into the problem itself. If we observe and acknowledge our thoughts and feelings as they arise without thinking we have to act on them, a great deal of creativity can arise. VB: "To listen is to develop an inner silence." What does this mean? Bill Isaacs: There are interesting notions about what listening actually means. We often have a range of internal dialogue going on. There are many voices and feelings inside us. It's like a set of sub-personalities all kind of warring with each other depending on the situation. This isn't a rare few who are a bit mentally disturbed. Everyone has different parts of themselves that speak or carry weight at different times. Sometimes a part will act without our even realizing it. We find ourselves reacting or getting angry, and wonder, "Who said that? What was that?" It's interesting that you go to work and the same people are there, but it's not entirely clear who will inhabit those bodies. Who and how will they be today? This is because we all have multiple aspects to ourselves; you could almost call them sub personalities. The challenge, in some respects, is to develop a pattern of quiet in which we can hear all the different voices. Then they can't clamor away quite so much, and in some cases we can enter into a very deep stillness. A deep silence. What's missing from many people's lives is the courage-ability container to encompass their different voices and permit the voices to be larger than them. The minute that's the case, you almost absorb them and they begin to shift. VB: Meditation and Tai-Chi tend to prepare you for that deep silence? Bill Isaacs: People use different things. All of the techniques are after increased intensity of one's own presence. Silence is an aspect of one's own being. It isn't a quality you have to get. It's a quality you have to express or give. It's already there. The mistake people make is busily looking for it, and attributing it to a technique or an association with some outer circumstance, such as going into nature. A lot of people have meditated for a very long time and ask themselves, "Am I making progress?" Of course, that's not the right question. The right question is, "Am I expressing who I am?" "Am I revealing the presence of quiet already present in myself?" VB: It's not a question of learning the technique; it's a question of developing that quiet? Bill Isaacs: Technique is very useful, or can be very useful as a kind of scaffolding. But it can easily become a crutch where people identify with the technique and do not reside in the experience the technique was seeking to point them towards. VB: What were some of the most interesting insights you gained from spending time with David Bohm, the quantum physicist? Bill Isaacs: David was intellectually honest and fearless. One time we were talking about a book we were writing and how people might interpret it or react to it. I said, "They might accuse us of being mystics," and he replied, "We'll just have to deal with that if it happens, won't we?" He wasn't concerned in the least about what people thought. At that time in my life it was very helpful to realize he was concerned about his own intellectual and spiritual integrity, not with what anybody thought. It didn't mean he wasn't interested or didn't care, but it meant he was going to stay true to his focus. VB: His insights are especially interesting given his professional career as a quantum physicist; it's not what one would have predicted. Bill Isaacs: He was unusual in many ways. A lot of physicists have had trouble over the years trying to figure out how to make sense of David Bohm. He naturally began to inquire into the nature of perception and observation of reality, because that's what a physicist questions. Quantum physics raises the question, "What impact does the observer have on the observed?" This immediately raises the questions, "Who is doing the observing?" and "What is the process by which this all happens?" This leads you into an inquiry into the nature of consciousness, which became the core of his inquiry. A lot of people might frame that inquiry as going off the deep end, but for him it was a natural extension of what he was already doing. The nature of language, the nature of perception – these things are conditioned by our stories and interpretations of physical reality. In other words, by the way the physicists of prior generations had defined the world. In the '30s, with the birth of quantum physics, a very new picture of reality began to emerge, but our metaphors and way of understanding things had not caught up. Bohm was very keen to try and figure out how to convey and articulate the meaning of these changes. You could argue that Newtonian physics of 250 to 300 years ago has influenced every aspect of social life – jurisprudence, political economy, business – all are based on mechanistic notions of the forces moving across and among people. All can be traced to the physics of the 17th Century. New physics implies a new way of understanding physical reality and ultimately a new social reality. Bohm was on the pioneering edge of articulating what that might all mean. VB: You say, "…one of the most fundamental struggles for any leader in business, organizations, or public life stems directly from the separation that most of us feel between who we are as people and what we do as practical professionals." Would you talk about that? Bill Isaacs: A colleague of mine, who is a professor at M.I.T., said to me once that she felt that she was leading a double life. There was a part of her that people knew as an effective presenter, teacher, powerful economist, and strategy professor. Another part of her saw all of these things as increasingly ineffective, asking questions that were way too small and insignificant. It was a schizophrenic split between who she felt herself to be on the inside and how she felt she had to express herself on the outside. My sense is that's not unique to her. Many people feel there are limits to what you can reveal about what you actually are and think. Some would say that's good and proper, but what it means is the wholeness of the person can't be brought to work and into their careers. This seems to be a problem considering we spend however much time it is in our careers and at work; between sleeping and being at work, there's not much time for anything else. Wisdom would be to live fully and as oneself in all contexts. Otherwise you go through life, and discover you spent two thirds or more of it not being fully yourself. That doesn't seem to be too good a situation. VB: You talk about the need for balance among the Good, the True, and the Beautiful. The pursuit of the Good without the balance of the other two produces 'moral rigidity' or even tyranny. Excessive pursuit of the Beautiful results in a false sense of superiority of the arts. In our modern world science and technology have assumed supreme authority over the other two: the Good and the Beautiful. What are some of the implications of this? Does it partially explain what some would call the dysfunctions of modern society? Bill Isaacs: Yes. The person who has written most extensively about this is Ken Wilbur, and Ken's work is very clear on these points. Some changes are beginning to show. There has been a dominant premise that if you can't measure it, it isn't real. A lot of scientists used to say, "I just describe the mechanism. Politicians and ethicists decide what to do about it." I'm finding that a lot of scientists these days are not quite so split – they are much more integrated. Habits of thought have led people to be quite skeptical of anything that can't be measured, defined, and specified. This is the dominance of materialistic or scientific realism, and what is tricky is that it squeezes out any kind of subjective inner view as valid. It says, "That is just your point of view." This is a very limited and relatively modern notion. The Greeks used to hold that the relevant question was not how fast can we do or accomplish things, but rather what's a good life? We've lost track of these questions, but they need to be asked by many societies around the world. Not only have we lost track of the answers, we've lost track of the questions. VB: We've also lost track of that in the business world, haven't we? Bill Isaacs: There appears to be a real bifurcation now. The business world hasn't much in mind other than survival, particularly in the current economic situation. In this climate, more than at any other time, the question of how to make a real contribution is the essential ingredient to survival. It may mean you have to cut some deals you wouldn't otherwise do, but organizations that are interested in contributing to the good of the whole are going to outlast the ones that are only interested in extracting value from the world now. It's a simple ecological principle. The whole will keep around that which is valuable to the whole, one way or another. It will tend to discard that which isn't. VB: "One of the group competencies of dialogue is the capacity to sustain respect for all the perspectives that arise, long enough to inquire into them." Does this go beyond keeping an open mind? Bill Isaacs: Yes, this implies a certain kind of inner work, a certain kind of inner transformation. There are no easy routes to listening or respecting other points of view. One of the first things required is to respect all aspects of yourself. To put it another way, if you find yourself reacting to somebody almost certainly they are reflecting back to you some aspect of yourself that you don't like. It's much easier to identify that aspect with them. You might say, "How could they do that?" "Look at that!" It's not so much a matter of keeping an open mind. It's confronting and transforming these reactive patterns in ourselves, one after the other. A dialogue context gives you an opportunity to do just that. It gives you the chance to notice your own reactions, shift them, and then expand so you are gradually increasing your capacity to listen, encompass, and take on board different points of view. VB: Why should we be wary of succumbing to the temptation to try to fix or correct what we think is wrong or problematic with ourselves, others or the world? Bill Isaacs: You could ask the question, "How do we know what other people are supposed to do?" There's the old saying, "The road to hell is paved with good intentions." People intending to do some good have produced most of the hell on Earth. That should give some cause for pause – perhaps we don't necessarily know what counts as good. It's well known in technological circles that there is something called the revenge effect, meaning every technology that is invented tends to have many unintended side effects. You build wide roads in your city and it makes it possible for invaders to invade you more easily. VB: Or, in modern times, you get more traffic in your city and congestion is even worse than before. Bill Isaacs: Yes, the notorious thing is when you build bigger roads to handle the large volume of traffic it gets easier to get in and out of the city, so more people move there. The consequence is the traffic situation gets worse. There are examples like this in every field. In fact, every system designed to reduce problems tends to produce them. The way human beings intervene in the system tends to make things worse. We have a healthcare system designed to reduce disease, but it tends to produce disease. In the United States, at least, spending time in hospitals is one of the highest causes of death in the country – just going into them. We have hospitals and medical systems designed to increase health and they tend to increase illness. We have prison systems designed to decrease crime, but they tend to increase it. We create a war on drugs and the drug trafficking goes up. VB: What advice do you have for those who say they seldom know what they really think when they are in dialogue with others because their voices are usually those of others who have influenced them in the past, or who influence them during the conversation they are having? Bill Isaacs: Whoever is asking that question is already on the right track. Noticing that they might be influenced or hypnotized by other people, or seduced to think in a certain way is itself a good step towards beginning to firm up what one thinks. It's enough to be able to resist that kind of thing. The trick is awareness, not so much trying to stomp out that habit, which doesn't work anyway. If you start to notice and befriend these tendencies you'll gradually dissolve and eliminate them. VB: You suggest that a worthwhile practice is to think of people in a meeting as a single whole. How does this promote dialogue? Bill Isaacs: If you think about interacting bilaterally, you with each individual, you are breaking up the whole pattern. You are missing a fundamental reality, which, at some level, is that everybody is breathing the same oxygen and is connected. The sense of underlying connection comes out of dialogue, but the sense of this underlying connection also enhances dialogue. If you go into a meeting with the notion that you are separate from all of the other people – they are there and you are here, they think what they think and you think what you think – you have immediately set up a ping-pong match kind of conversation or discussion. It's not a dialogue. If you go into it with the notion that there may be a pattern of connection and underlying wholeness that has yet to show itself to you, even if you find some of the people quite ridiculous or quite difficult, you may discover connections you wouldn't otherwise see. VB: Does the human trait of moving to blame and argument rather than reflection and responsibility, to discussion rather than dialogue, mean our destiny is always to misunderstand each other and often engage in conflict? Bill Isaacs: Everyone has habits of disability, habits that need nullification at some point if there is to be another way of operating. Equally present is something else. I don't think we are destined or doomed to anything. We make choices. We sometimes don't realize we are making choices. The conflicts in the world are getting difficult enough that some people are asking the question, "Is there another way to operate?" I think this is a step in the right direction, even if it is not entirely clear what the "other way" might be. A shift of one kind or other is necessary and people know it. VB: "Instead of good answers, we need good questions." You also say, "…most people do not actually have questions in mind when their sentences end in question marks!" What do they have in mind? Bill Isaacs: "It's a nice day out, isn't it?" "Do you think she deserved that raise?" Those are not questions. They are value judgments. They are statements about the world. Many questions are statements or judgments, which are posed in an attempt to get the other person to agree. The people asking are not coming from an exploration of their own ignorance. VB: What is a 'genuine question?' How does that encourage dialogue? Bill Isaacs: Dialogue is a process of inquiry, of expanding or extending a space to see what might be there that might not have been thought of previously. It's what sometimes is known as "thinking outside of the box." Of course, the reality is that there is no box. Our thoughts, conditioning, or reactions tell us to go a certain way – the trick is to interrupt all that. VB: That leads to asking genuine questions? Bill Isaacs: A genuine question comes out of a willingness to notice that one is ignorant about something, has no idea about it, but is willing to explore and look foolish in the process. VB: What does it mean to be centered? Can we learn to be centered with practice? Bill Isaacs: That's a very large question! Everyone has a different way of thinking about it. If you are about to walk into a really important conversation, what do you do to get ready? Whatever that is, it's getting centered. How to get set. Feeling where you are. That's all it means, really. I used to play a game with my son when he was little called "be heavy and be light." If you have ever picked up a child who did not want to be picked up you know how they can wriggle out of your arms. Here's an experiment worth trying sometime. Use appropriate judgment when doing it, but like you would do with a child tell someone, "Be light," then try to pick the person up. You'll find it very easy. Then tell them, "Now be heavy." You don't have to say anything more. When you try to lift them up it's much harder. Centering is a function of energy, and how it lands or grounds in oneself. There are many techniques, languages, and approaches, but that is the gist of it. VB: It's not only a matter of being centered while making a presentation; the goal is to be centered all the time. Bill Isaacs: Well, that's a nice goal. I think mastery is more a matter of discovering quickly when you are off-center, and recovering faster. You can't walk and not be off-center. Every time you take a step you are slightly off-balance, but you learn to re-center continuously. VB: You define structure in human conversation and interactions as "the set of frameworks, habits, and conditions that compel people to act as they do." What is a structural trap and why are they of concern? Bill Isaacs: Another large question, but the gist of it is this. If there are three parties, A, B & C, and A makes B happy, that tends to make C unhappy. If A makes C happy, that tends to make B unhappy. A is in a dilemma. A can't make both B and C happy. That's a structural trap and it manifests across organizations, between people, within companies, and even across nations. In those kinds of basic dilemma patterns people make a fundamental mistake when they try to solve the content of the problem by trying to figure out a compromise or negotiate a solution. Instead, they need to solve the system. The system problem is that the points of view are out of alignment with each other, and the parties are not noticing this is the case. In this circumstance, A will not return phone calls, will say whatever B or C want said, but A not do what it say it will do. A will think of a third thing independently of B and C. Also, any alignment set up between A and B will tend to get neutralized by the actions of C. And similarly actions and alignments that A and C take will tend to get neutralized by the things B does. Structural traps are situations where people take actions in one place only to find they are getting neutralized in some other place. They are predictable patterns of function that are always present in organizations. The pivotal differences become whether you are aware of it and what are you trying to do about it. VB: You are founder and president of Dialogos. What are some of the projects you have undertaken? 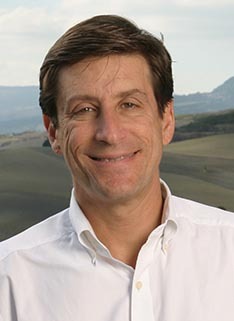 Bill Isaacs: Dialogos was founded in 1995 primarily as a technology development laboratory. The technology is social and leadership technology, not physical or information technology. In the last 14 or 15 years, we've developed several core processes and insights that we have begun to apply and leverage. They can be described with one big headline: "We help people apply a collective intelligence to transform real system problems." Any one individual can't handle all the many problems people face; indeed the majority faced these days. There simply isn't a bandwidth with the required brainpower. While computer technology is helpful in connecting all of us, it is very different from knowing how to function together in a synergistic way. Sometimes lots of minds working together add up to more than the sum of the parts, but often it doesn't. This is the hidden side of the so-called "wisdom of crowds" – crowds can be quite unintelligent and mob-like, whether on the Internet or in an organization. There's a book, published in 2004, written by James Surowiecki called The Wisdom of Crowds, which extols the virtues of large numbers on the Internet but it doesn't recognize the hidden side. At Dialogos we help people figure out how to crack the nut of getting together in deeper and more powerful ways, and to innovate together. We think this is the essence of real leadership. We focus on what I call large-scale systems and cultural change. People realize that the ways they have been functioning for the last 10 or more years in an organization can no longer work. The leaders, and the system as a whole, need to learn to operate differently. This involves a change in how the leadership understands itself, and how the organization understands its issues. It also involves a change in how leaders transform the memory and history they carry, learn new ways of operating, ultimately develop a very different sense of identity, and then deliver what they are meant to deliver. But from a new inspired and more disciplined place. VB: The people being led need to be part of that process, I assume. Bill Isaacs: It is a co-created thing. A lot of change processes and ways of thinking about this tend to be outside-in. We determine the structure and redesign or reengineer the processes, but the people are an afterthought. It has to be co-created by the people in the situation, or it doesn't work. And not just co-created. Those are nice words. What's required is a shift or expansion of maturity. People need to learn to function together in new ways, and that implies each individual growing up. The hidden little secret is that everyone is interested in the new cool thing, but in the end, human beings need to learn to grow up. They need to take responsibility for themselves and their reactions to the world. They need to operate with a quality of character that reveals maturity. It isn't something you get with a new piece of software. It's something you get by studying, learning, and developing yourself as an individual and collectively as a group. VB: Growing up is difficult when you have a culture with negative influences and people have different agendas. Bill Isaacs: That is the essence of it. It sounds a little arcane but the essence of maturing is working with the brush with which we've all been tarred, including conditioned reactions, negative thinking, self-criticism, low self-esteem, paranoia, and whatever else each of us carries. We each have our own version of this. We imagine our particular brand of challenges is unique, but it isn't. It's a condition we all have. The issue is what are we going to do about this condition? By and large we've been taught that we should try to get a mental grip on it, maybe breath occasionally, meditate, or otherwise find a way to cope. Count to 10, take a deep breath, and then do the best we can. The truth is we can do a lot better. What's required is a shift in understanding of who we are. Who we are is not the result of our conditioning. We've received conditioning, but that's not who and what we are. Once we understand this we gain the ability to transform and even transmute these habitual patterns. I like to think of this ability as the machine that attracts and zaps bugs. You become the pattern of radiation that zaps the conditioning, and it literally goes away. The idea that we have to live with and tolerate all this baggage is pretty depressing. Freud's version was improvement is moving misery to everyday suffering. Not only is it a depressing vision, it's not accurate. VB: We're talking about attitude as well. We can only control our own attitude. Bill Isaacs: Yes, but even that can be a bit misleading. It is about attitude – the attitude to which you give expression. What is critical is the quality of character and the attitude you bring to a situation regardless of how you feel. How you feel is only data. It's information about whether or not you are in alignment with yourself. If it controls you and you are feeling badly, your mind will instantly look for reasons why you feel bad. Then you'll try to assign those reasons to sources outside yourself and, as a result, get mad and attack those sources. VB: Or you may use those other sources as an excuse for why you are the way you are. Bill Isaacs: Yes, you go into a victim stance. I am this way because the external world has not arranged itself to please me. People spend lots of energy and money trying to rearrange their external environment to make it look the way they imagine it ought to be. And, as wealthy people can attest, the minute they get it rearranged and organized they discover it isn't what they thought it would be. It never is. It's not satisfying, because satisfaction does not come through outer means. What does Dialogos do? It takes these principles, which have to do with individual spiritual maturity, and applies them to practical challenges in organizations. The principles are the same. Somewhat uniquely we've created a social and leadership technology that allows us to help people arrive at positive solutions to the practical problems and organizational challenges they face. It may, for example, be a large Fortune 10 company and a software vendor who are trying to produce a new piece of software together. They've spent 100 million dollars and three or four years of effort. The whole thing is about to get cancelled because the two groups are at each other's throats. They are failing in their ways of working and interacting together. One service we provide is taking divided patterns and turning them around in a very short period of time. We help our clients realize the potential of the situation they are in, and turn it from a guaranteed failure into a step-by-step success. The key is that they do it. We helpt them shift their ways of operating, which requires a great deal of pressured effort. In one case the people responsible for a project went from thinking they were never going to accomplish the task to being quite proud of the fact they were relatively sure they were going to succeed. The managers on both sides were agape at that prospect, because they had completely written the whole endeavor off. Turning divided patterns around is always possible if you activate deeper realities – whether as an individual in a relationship, or in this case, between two organizations. VB: It takes time to accomplish that type of turnaround? Bill Isaacs: Not necessarily. I think there's a bit of a myth about the time required, and I have to say at one time I subscribed to it as well. We have a three phase process. Phase one involves setting up what we call a core vessel or container in which leaders get together. The second phase involves transforming how we operate. Phase three involves disciplined and innovatively inspired delivery. I had imagined the process would take a long time, but we did it in six or seven weeks. Which quite shocked me. My assumptions about the process have shifted when it became clear it doesn't take a long time. It takes willingness. VB: If the participants are goal-oriented the willingness is there? Bill Isaacs: Yes, they are usually goal-oriented, they want to produce action. But they also want to cling to their way of operating. The trick is to be willing to let go of fundamental ways of operating. The good news, in the situation with the Fortune 10 company and the software vendor, was that the people involved knew they were stuck and were never going to succeed. They hadn't admitted it to themselves publicly or even privately, and certainly not to their respective managements. But they had hit the proverbial wall. It's extremely helpful, at times, to hit a wall, because then you know you have to do something differently. There's no kidding yourself. There's a myth that you can project manage your way to victory. Get more disciplined, improve schedules, clarify accountabilities, and punish people who don't perform – project manage your way to heaven. It's not going to happen, and people usually know this. It leads to zig zag patterns of success. You have ambitious plans but miss goals and deadlines, you make another ambitious plan which you also miss, and then another one and you miss that as well. The chart of success and failure goes up and down. VB: You are also director of The Dialogue Project. What is this project? Bill Isaacs: The Dialogue Project has shifted. I am now a director of the MIT Leadership Center. We've folded the dialogue project work into the Leadership Center effort. The MIT Leadership Centre focuses on what we call "distributed leadership." It's a group of researchers, academics, practitioners and an emerging group of companies who are interested in producing a different paradigm of how leadership works. We say there is leadership at every level; it comes from every level of an organization or every part of an organizational network. And we harness the collective pattern of leadership throughout a system. VB: Are Otto Scharmer and Peter Senge involved in the MIT Leadership Center as well? Bill Isaacs: Yes they are. VB: Are you currently working on any interesting projects with the MIT Leadership Centre, such as trying to improve understanding between Arabs and Israelis, or any other world problems? Bill Isaacs: No, we're starting with organizations. Our focus falls into roughly three categories: a new mode exemplified by a few highly innovative organizations like Google and a company called WL Gore; networks of people collaborating across boundaries; and we have organizations with the ambition of moving from what I call a mechanistic or fragmented paradigm to a more coordinated and fluid one. The elephant learning to dance, so to say. We are working with organizations in all three categories. In other work, not so much through MIT but through Dialogos, we're working on a number of efforts that are applying these ideas to international development. The question is how do you assemble a core group of leaders in a developing country from multiple sectors and directions, and have them suspend their mental models about the future long enough to let a wider vision emerge. People have words along these lines, but they can rarely produce the music. We're working on enabling them to make music. VB: This often needs to be done across countries, not just within a country. Bill Isaacs: Yes, that's right. At the moment it's not what we're working on, but our technologies and principles should also apply. My approach has been to find microcosms in organizations that begin to demonstrate and prove how these things work. Once we've it at a social and interpersonal level, then the form of organization means much less. Even the scale of organization is less important. The issue is can you do it at all? We've spent the last decade or so proving that you can. VB: When people have gone through the process you described, do they learn the required skills and use them in subsequent interactions with groups? Bill Isaacs: Yes, that's the main difference between the two kinds of services Dialogos offers. One is a recovery process in which you take a situation that is in the ditch and turn it around. You learn by doing. Then there is a transformational process of producing practical results step by step, and deliberately taking time to build capacity along the way. The capacity you build in recovery projects is learning by doing. There isn't a lot of time to learn by reflecting in such a situation. You have a deadline, which you are often well past. In fact, you are well past every possible and conceivable deadline, so time is massively of the essence. That said, people still have to learn how to function differently. It turns out, though, that to function differently in a sustainable way you have to take time to reflect. When you are engaged in action you may be operating differently, but you may not consciously know what you are doing differently such that you can replicate it in a new situation. The only way to get to this state is to take time to "reflect professionally," as I like to call it. On weekends you think about the past week, but there's a more disciplined way of reflecting that can enable you to harness the investment you have made in action. VB: While the focus may initially be on a heroic recovery, it becomes part of your learning and skill development. Bill Isaacs: Yes, it's a very conscious, deliberate, and disciplined process of reflecting. You write things down. You confer with others. You subject your thinking to challenge by others, so your own blind spots are eliminated. Vern's note: We will continue our interview with Dr. William Isaacs in next week's IdeaConnection newsletter. We'll talk about the way we think, creative processes and conversations, the essence of leadership, the magic of the genuine power of dialogue, and much more. If we want to advance our individual and group creative energies we will learn to engage in true dialogue. We will respect others in the sense of seeing them as "legitimate." In suspending our opinion we will observe and acknowledge our thoughts and feelings as they arise without acting on them. We will have the courage to speak our voice, revealing what is true for us regardless of the many inner voices that tell us how we ought to behave and what we ought to say. "…in speaking I can create." Dr. Isaacs is the founder and president of Dialogos, a consulting and leadership education firm based in Cambridge, Massachusetts, and Chairman of the Board of the Dialogos Institute, a not-for-profit action research organization. He is a leading authority on collective leadership, the design and development of organizational learning, and the practice and theory of dialogue. He is also a Senior Lecturer at Massachusetts Institute of Technology's Sloan School of Management ("MIT").